Standard equipment includes 5 (for BL) or 6 (for BLS) adjustable clamping arms and waste slitters with holders. Once the material (square-cut sheets) is inserted the cutting stroke is released when the safety light barrier is activated. Model BL has a maximum die-cut size of 220 x 260 mm – or a diameter of 250 mm for circular products. Model BLS has a larger die-cut size of 230 x 320 mm – or a diameter of 260 mm for circular products. These robust and powerful machines are used for die-cutting all types of material and where higher volumes are required also. The machines are used for cutting contours of large-sized labels, brochures, children’s booklets, credit and loyalty cards. 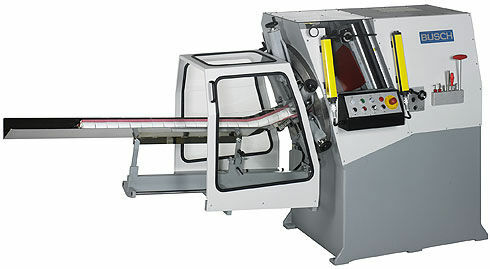 The models are also suited for die-cutting labels in a two-up system, e.g. detergent labels and similar.For this procedure labels are interlocked in pairs to save material and guillotining time. The machines are commonly used for counter-pressure cutting when handling special material, e.g. inmould labels.